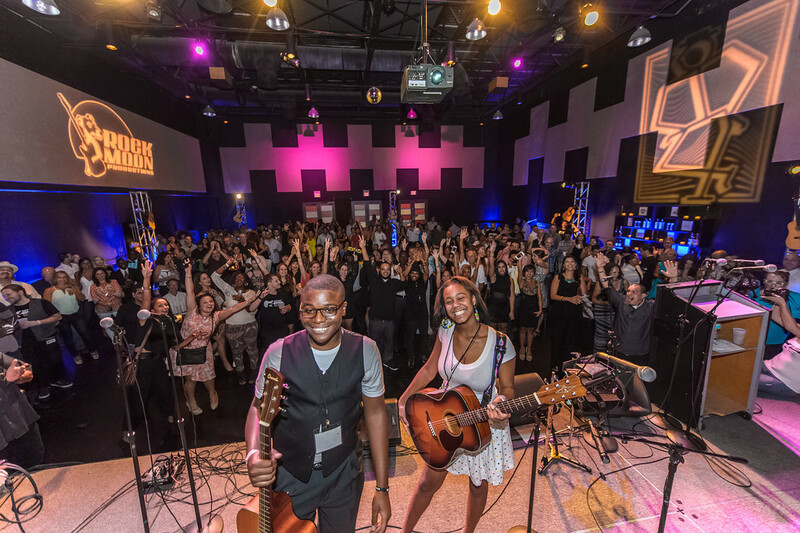 Guitars Over Guns is a Miami-based 501(c)(3) nonprofit that offers students from disadvantaged backgrounds a powerful combination of music education and mentorship with professional musicians to help them overcome hardship, find their voice and reach their potential as tomorrow’s leaders. Guitars Over Guns creates safe spaces for youth to express themselves through music and empowers them to make positive choices at school, at home and in their communities. Guitars Over Guns’ unique curriculum emphasizes social-emotional learning and outcomes through music and arts instruction. After each session, mentors assess students’ academic performance, school and program attendance, artistic progress and peer interactions. We use social-emotional learning measurements to evaluate key competencies such as empathy, teamwork, initiative, responsibility and problem solving. Recent evaluations indicate that over 90 percent of Guitars Over Guns students improved their academic performance, overall conduct and decision-making skills. These measurements are byproducts of a greater shift that is occurring in the way these young people think about the world and their place in it. “Can’t Stop the Feeling” was recorded at Noisematch Studios, the Wynwood-based recording studio known for producing the hit song “Despacito.” The music video, directed by Dre Torres, was filmed at Jose de Diego Middle School, and features the famous Justin Timberlake song as performed by Guitars Over Guns’ talented middle school students from throughout Miami-Dade County. “I want to hear your joy.” We believe that youth don’t need another person telling them what to do, but someone to take pride in them, to tell that what they are accomplishing is amazing. Our students say the program gives them a home. Videos created by MAD Miami, a team of professionals of the 38th class of Leadership Miami, an initiative of the Greater Miami Chamber of Commerce. Our Flagship music program combines mentorship with musical instruction and performance. Professional teaching artists serve as mentors in this program and work with youth over a year-long period. During this period, they develop relationships with the students to foster not only musical growth but personal development in and out of school. The various musical disciplines include rap and spoken word, singing and songwriting, keyboard, drumming, guitar, trumpet, and drums. This is a visual arts based mentorship program. This program uses the same model as our flagship music program but focuses on the visual arts through mediums such as sketching and painting. Our student-lead dance program where students are studying contemporary dance styles, such as Hip-Hop, and how they emanate from African dance and drums.